So I was stressing out a couple months ago because our site was taking too long to load…like 10 seconds at it’s worst. It’s crazy but the rule of thumb is that a site should load in 3 seconds or less. Why?! Because we are an impatient breed. And in today’s culture, we rarely have to wait for anything. We don’t know the answer to a question… “google it” and boom! Answers are at our fingertips. But the old saying that “good things come to those who wait,” is still relevant and accurate! After all, research has repeatedly shown that the ability to delay gratification is related to success in life and improved psychological health. In dating, a little delayed gratification can go a long way, and this is why you need a 90-day probation period when you date. WHAT IS THE 90-DAY PROBATION PERIOD? 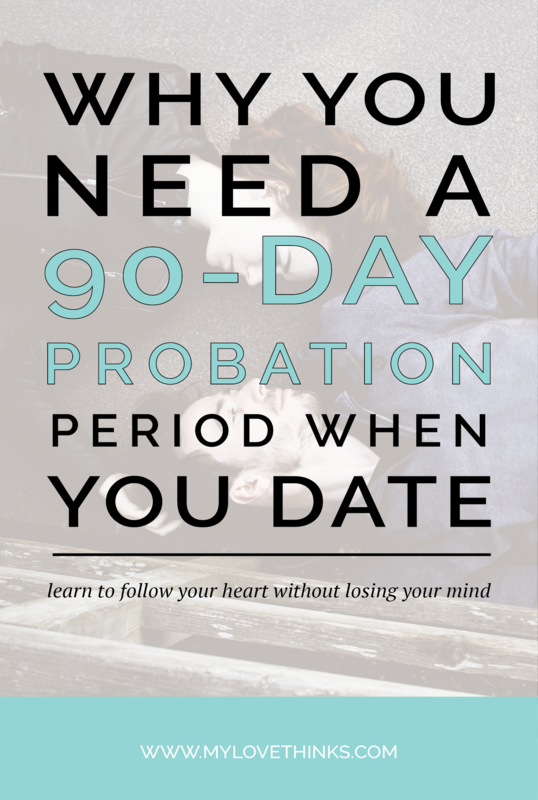 The 90-day probation period states that for the first 90-days it is important to conservatively pace your relationship (aka, set some stinkin boundaries) because, most often, problematic patterns will start to emerge around the third month. Think about it…most companies have a 90-day waiting period before employees are able to receive full benefits. This is because they want 90-days to test out their hire, to make sure they are a good fit with the company and be able to fire them if necessary. Also, the first 90-days of an addict’s recovery are some of the most vulnerable to a relapse. Surviving those first 90-days are essential to recovery. My point is this: it takes around 90-days for a person’s patterns to emerge. Whether it’s in the workplace, in battling their addictions or in a romantic relationship, the first 90-days is a critical time of assessment. Take a sec and think back to your relationships, the beginning is almost always the most amazing because you’re both on your best behavior and you haven’t really hit any major bumps in the road. Buuuut people can’t contain all their issues forever, and as a relationship progresses their real selves start to emerge. The thing is, though, if you’ve accelerated your relationship, then it’s likely you’re already in too deep to really see the problems that are just starting to surface. The first step in employing the 90-day probation period is to decide your firm boundaries. How much will you trust your next partner in the beginning of the relationship? How much will you depend on them in the beginning? How far will you go in your sexual relationship? Decide and then stick to those boundaries. Then use those first 90-days to investigate your partner (I’m not talking about Facebook stalking). Don’t jump to either positive or negative conclusions without evidence that comes from time. Test out your hunches. If something bothers you about this partner, put it on the table in a caring, respectful way. But then leave it there and see what that person does with it. Look here for more on the importance of being willing to change. 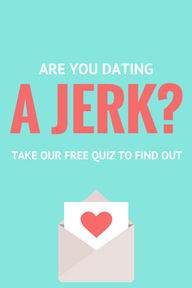 You are not just trying to get to know what your partner brings to your relationship, but also how willing they are to bend, make minor changes, and act conscientiously toward you. See here for more on the conscience. Give the relationship time so that different situations can arise that will bring out different characteristics in your partner. Time will allow for your partner to become more comfortable and less guarded so that behaviors that were previously suppressed will come to the surface. Once you’ve given the relationship some time, then patterns will emerge that will allow you to decide whether or not you want to invest more in your relationship. So we want to hear from you. What’s your typical pace to a relationship? Do you tend to put things on hold for a while, or jump in feet first?